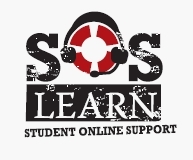 SOS LEARN – Back for Spring! For all online students who have already registered for FREE Online Tutoring and Homework Help – Welcome Back!!! To those of you who have not yet registered – Why not? This free service is a great way to prepare and review for exams. For more information (and a great video to explain the service) click here.